Seeing the signs: Can you tell your horse is in pain? A video tutorial on recognising the facial expressions of a horse in pain is the latest in a four-part series helping horse owners see for themselves the signs of pain and lameness in horses. Headlined by one of Britain’s most eminent equine orthopaedic specialists, Dr Sue Dyson, the videos are a valuable learning tool to help riders, owners, trainers and vets to recognise musculoskeletal pain and subtle lameness sooner, to improve the welfare and performance of the ridden horse. Dyson, who is Head of Clinical Orthopaedics at the Centre for Equine Studies at the Animal Health Trust in Newmarket, said she was fed up with seeing horses, often a long time after behavioural signs may have indicated something wasn’t quite right. “Owners would say ‘he’s always been a grumpy horse’, ‘he’s never been a willing horse’, ‘he’s never wanted to stand to be mounted’ and so on,” Dyson said. Dr Sue Dyson observes a horse being lunged. She says early recognition of lameness is nearly always advantageous for a better prognosis. The first video in the series “Recognising Subtle Lameness” was released early last month, and explained the familiar indicators of lameness before revealing pain’s less obvious signs. The series has been produced by online educational resource Equitopia, in conjunction with Padma Video. It has enabled Dr Dyson to bring to life the key findings of her studies to help to engage her target audience – anyone who is involved with horses. The videos give the viewer clear, practical guidance on how to pinpoint the notoriously elusive common culprit for poor performance and behavioural issues: pain. In addition to focusing on Dyson and her work, the first three videos in the series harness the knowledge of renowned equestrian experts including equine veterinary behavioural medicine specialist Jeannine Berger, Saddle Research Trust founder, Anne Bondi; Concordia Connection founder, Milly Shand; equine veterinary surgeon and horse training and rehabilitation specialist Karin Liebbrandt; and eventing coach, author and bridle designer William Micklem. Together they deliver a crisp, concise perspective on the many variable factors associated with pain-induced lameness including primary musculoskeletal pain, tack induced pain or rider induced pain. 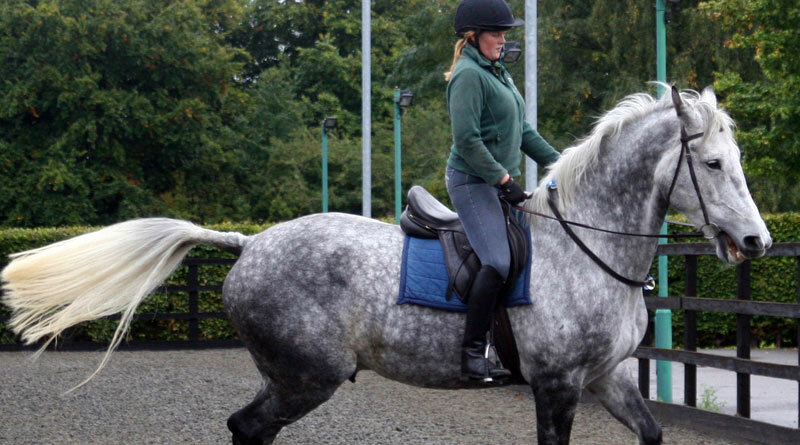 As a rider to top national level in both show jumping and eventing, as a trainer and as an equine orthopaedic specialist Dyson has, over many years, repeatedly observed behavioural adaptations to lameness. Such adaptations were seen in ridden horses and improved, but were not necessarily completely abolished, by the resolution of lameness by diagnostic analgesia. These experiences were the inspiration for her substantial work on the behavioural signs of pain, which includes an ethogram for facial expressions in ridden horses as a first step toward assessing pain other than through obvious gait changes. Researchers say there is evidence that more than 47% of the sports horse population in normal work may be lame, but it was not necessarily recognised by owners or trainers. The videos have been well received around the globe, having clocked up almost 100,000 views already. The final video in the series, to be released later this month, covers aspects of the rehabilitation of a lame horse. “I do understand why owners may want to bury their heads in the sand and not recognise that their horse has a problem but it is just so important from a welfare perspective,” Dyson said.